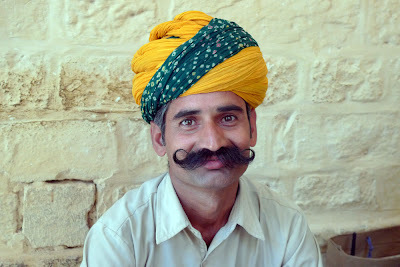 Four out of five Indian men have moustaches. Usually, they're unassuming, neatly trimmed, nice black 'staches. 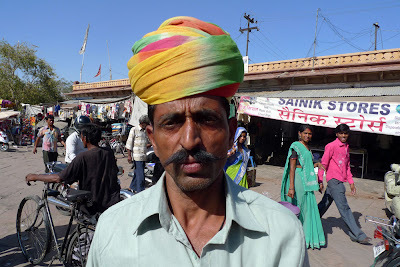 But in Rajasthan, the moustache culture is out-of-control amazing. 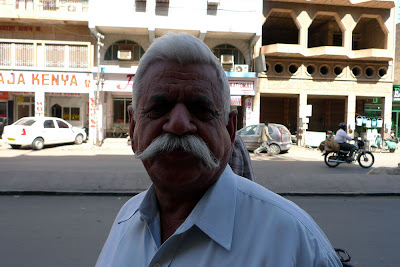 Pride in the 'stache runs generations deep. 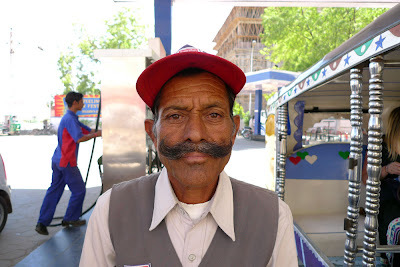 Rajasthanis are generally super nice to begin with, but the men really light up when I ask to take a picture of their moustache. 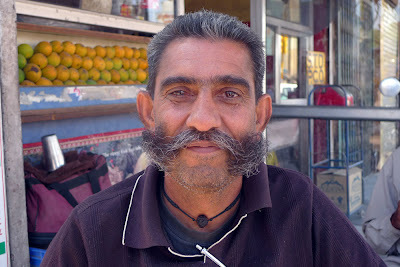 These guys know how awesome their facial hair is, but not in an unbecoming way. They're like, "I know, right?" They're always whipping out little moustache combs and styling, probably with coconut oil. 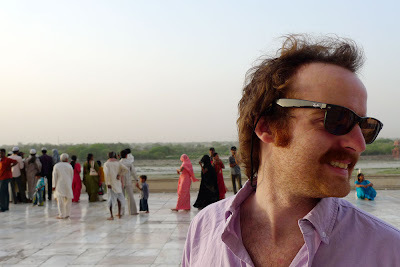 Again, not in a creepy, lugubrious wannabe-suave way (like some Indian bachelors publically preen their bangs), but rather in a passing-the-time, may as well do some work on the ol 'soup strainer kind-of-way. 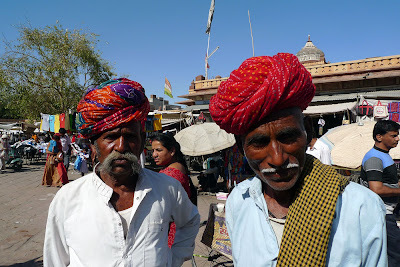 Add in the psychedelic neon turbans, and the outrageously awesome footwear and you have some of the most stylish, poised, quietly-confident gentlemen I have ever had the pleasure to be around.